Long serving versatile player signed on his release from Wigan Athletic. At home anywhere in defence or midfield. 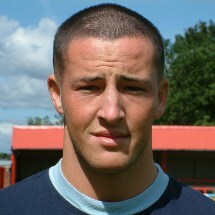 Member of the Unibond Premier Division winning squad of 2004/05. Moved on to Altrincham in June 2011.